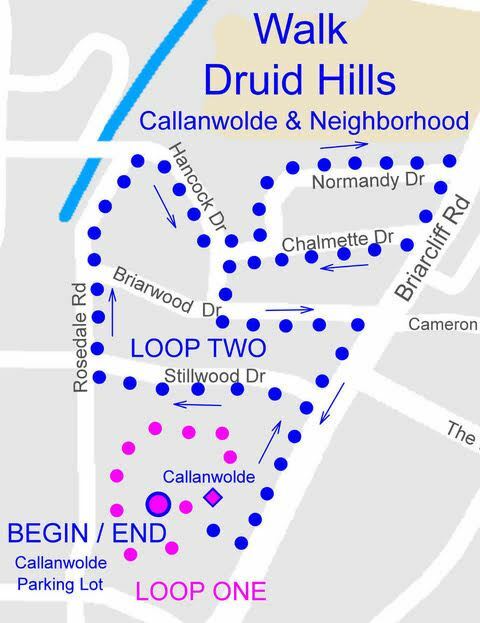 Please join us for a tour of the Callanwolde Fine Arts Center and the surrounding neighborhood in west Druid Hills. We’ll meet at the Callanwolde parking lot (located toward the back of the property) on Saturday, September 9 9:00 AM. The walk is approximately three miles and includes uneven terrain, dirt and gravel.